Health officials are investigating a disturbing uptick in cases of paralysis in children from a rare illness in several states. Acute flaccid myelitis, also known as AFM, affects the nervous system and causes the muscles and reflexes in the body to become weak. Its symptoms are likened to those caused by polio, which was eradicated in the U.S. thanks to the polio vaccine. The illness is thought to attack the body's nervous system, although it's not well understood why. It can lead to paralysis and even death. The U.S. Centers for Disease Control and Prevention said there have been 38 confirmed cases of AFM this year through the end of September. Fourteen cases have been reported in Colorado and six in Minnesota, most of them children. Earlier this week, three new cases were reported in patients being treated in Pittsburgh. 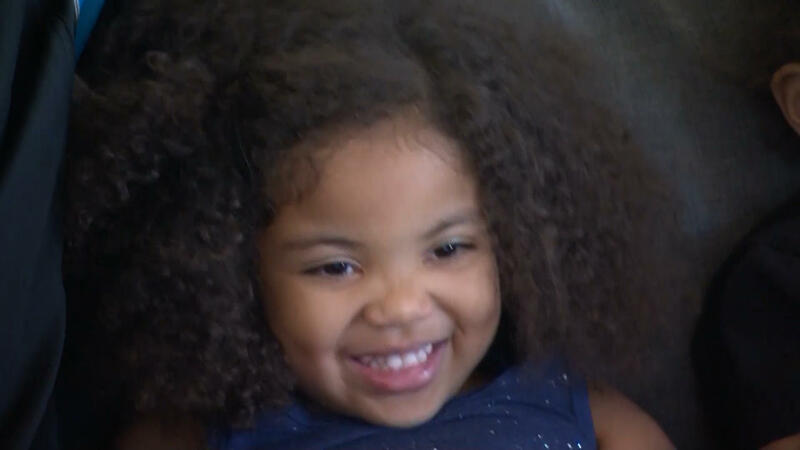 CBS Chicago also reported that a 2-year-old in Chicago is recovering from the illness. There is no specific treatment for AFM, but doctors at Children's Hospital Los Angeles are pioneering a new therapy to help patients regain movement. "About half of kids with AFM will strengthen up enough on their own that they won't require any form of surgical intervention for their nerves. The other half won't," Dr. Mitchel Seruya, director of the Brachial Plexus and Peripheral Nerve Center at Children's Hospital Los Angeles, told CBS News. Seruya is working on a nerve transfer surgery to help these patients. Four-year-old Maipele Burns is one of the children receiving the treatment. She was born with chronic asthma, but an attack just before her second birthday was different. "She takes the nebulizer, that wasn't working," her mom Carlene Burns said. "So I called a friend to take us to the emergency room." Maipele appeared to make a full recovery, but when she returned home her mother discovered something still wasn't right. "She was playing, a normal kid and then my husband noticed her arm was kind of just hanging there," Burns said. Maipele had lost all function in her right arm and was diagnosed with AFM. Doctors at Children's Hospital Los Angeles performed two surgeries taking nerves from her ribs and diaphragm and diverting them to her arm to make her fingers, wrist, and elbow bend and straighten. "You have to get in there by 8 to 12 months ideally to fix the nerve, otherwise the nerve loses its connection to the muscle and at that point you run the risk of not being able to reverse the paralysis," Seruya said. Therapists continue to work with Maipele to train her nerves. It's been 18 months since the first surgery and she has regained movement in her elbow and hand. "We had to teach her how to go up the stairs, how to get up," Burns said. "We try to treat her like a normal kid." Doctors hope as she continues with therapy, she will see even more improvement.